Delhi's Patiala House Court issued summons as an accused to Delhi CM Arvind Kejriwal, Dy CM Manish Sisodia & 11 other AAP MLAs, who are named in the by Delhi Police in connection with Delhi Chief Secy alleged assault case. They have to appear before the court on 25th Oct. In the charge sheet, the cops said that the Chief Minister Kejriwal, Dy CM Sisodia and 11 AAP MLAs were responsible for the alleged attack on the bureaucrat. Delhi Police, in the 3000-page charge sheet, alleged that Kejriwal Sisodia and the others had conspired to threaten the Chief Secretary Anshu Prakash. They have also been accused of wrongful confinement, intentional insult, abetment and unlawful assembly. 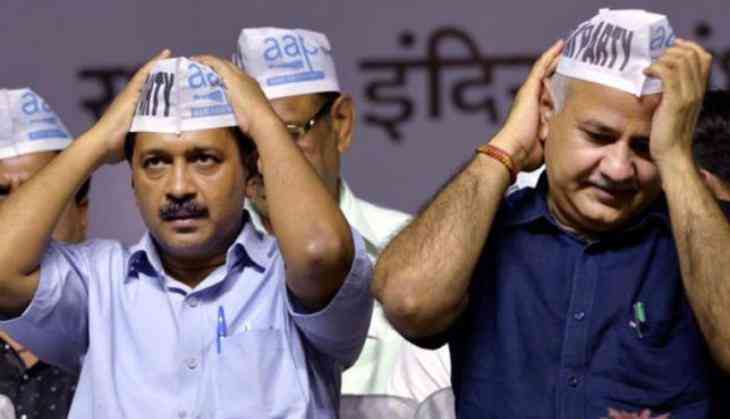 Well, Chief Secretary, Delhi Chief Secretary Anshu Prakash had alleged that he was manhandled and misbehaved by AAP MLAs at a late night meeting in February over a delay in releasing a three-year anniversary TV campaign. Initially, he was threatened and then Amanatullah Khan and Prakash Jarwal "started hitting and assaulting me", he said in his complaint. The alleged attack took place during a meeting at the chief minister’s residence by his MLAs, Kejriwal, Sisodia. Later, The Chief Secretary later filed a complaint with L-G Anil Baijal who had reportedly ordered a probe in the matter. Delhi police on May 18 interrogated Delhi CM for over three hours in the connection with the alleged Anshu Prakash assault case. If convicted, the Chief Minister Arvind Kejriwal and his lawmakers may get a maximum of seven-year jail term.